This brand-new addition to the Basher range of books, which include the bestselling Complete Periodic Table from the Basher Science series, offers a unique and exciting way to explore the world. 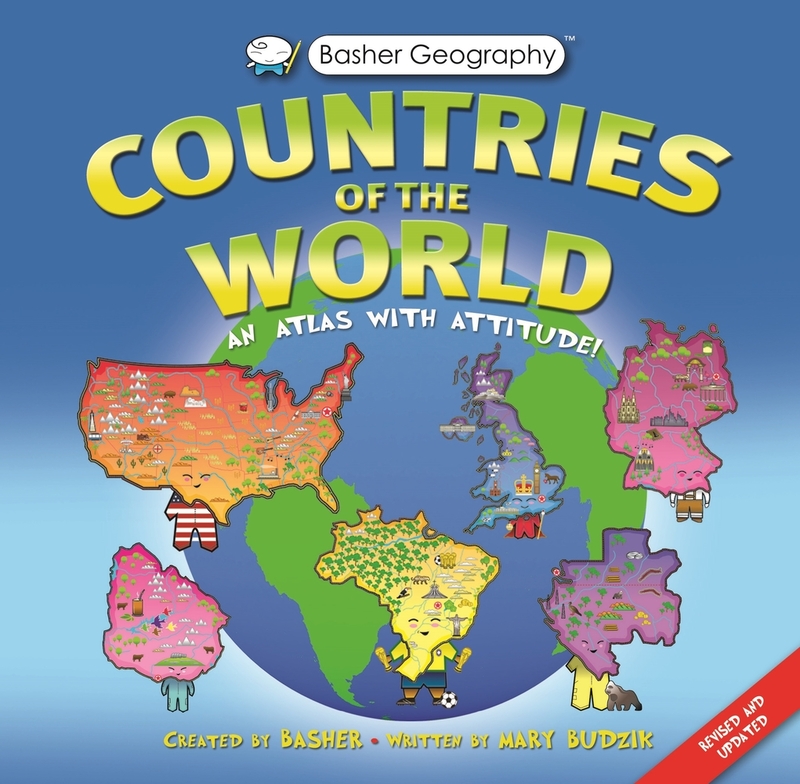 Basher Geography: Countries of the World features a different take on the traditional atlas approach and will capture the imagination of readers with its quirky and highly memorable characters to visualize the world's countries (and other key territories). You'll never forget the huge and fascinating country of Brazil envisaged as a footballer! 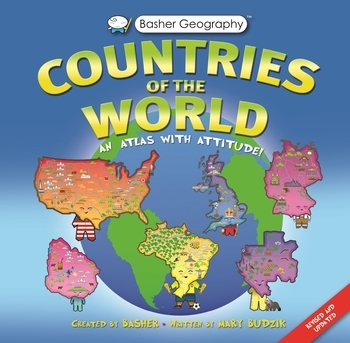 Accompanying each country character is a detailed map as well as key facts and some amazing information. Who knew that over 820 different languages are spoken in Papua New Guinea, or that Peru has more pyramids than Egypt? Mary Budzik is the author of many children's (and adult) books, including Punctuation, Grammar and Creative Writing in the Basher Basics series as well as the bestselling Mythology in the Basher History range. She has a BA in English Literature from Boston College and an MA in English Literature from Columbia University. She lives in Connecticut, USA. From his first book The Periodic Table (2007) to his more recent, Basher Science: Engineering, Basher's unique illustration style of East meets West features a dash of graffiti artist and a large helping of wit added in. This "graphic surrealism" approach to illustration has intrigued and informed a whole generation of children and engaged them with learning important topics in a light-hearted and entertaining but informative manner.